Interested in Management Positions? Click here! Interested in Corporate Positions? Click here! 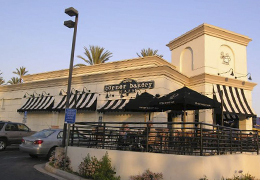 Every Corner Bakery Cafe applicant has rights under Federal Employment Laws including Family and Medical Leave Act (FMLA), Equal Employment Opportunity (EEO) and Employee Polygraph Protection Act (EPPA).